Day in Life project for Nombro family. Ready to see beautiful Nombro family portrait photography story? I met them for the first tim around this time last year. We did some pretty Christmas photos for family. At that time I just came around to think about my Day in Life project. We got to talk and I mentioned about it to Nombro family. Needles to say when I announced that I’m looking families for this project, they were the first ones in line asking to sign them up. For those who haven’t seen my Day in Life sessions before and wondering what that means. Have you ever wanted someone to take those natural family photos. Kids running around, being just kids. Mum and dad are doing their stuff and there is no direction on posing or whatever is happening around. I always wanted to get photos like that of my own family. I know that perfect studio lit portrait with everyone smiling and looking at the camera is necessity too, but I think family identity shows really when you are just being a family and enjoying yourselves. There is no need to bribe kids to pull the smile and kids treat this more like a game. I was very excited to find out that they stay out in countryside and might be visiting farm and girls might bake some tasty muffins. I definitely wanted to visit family and document their Day in Life. Here Brenda to talk about her family portrait photography experience. ” We originally met with Armands for a Christmas mini shoot last year, following feedback and a recommendation from a friend, and we have never looked back as far as family photography is concerned! He is relaxed, friendly, and patient and understanding with children- our girls took to him immediately. We had absolutely no hesitation in signing up for his day in the life project- we just prayed our children would behave- and by some miracle they did! Armands was clear and happy to answer any questions on what to expect on the day and what he was looking for, but the brief was simple- be yourselves and do what you do! We kept the plan for the day quite flexible to suit two young children and the Scottish weather, and Armands was very accommodating. In the end we spent some time getting ready in the morning, took a walk up to the dairy farm at the top of the road, played in the garden, had a picnic lunch and then did some baking and cake decorating in the afternoon. All really simple stuff but it meant that the day was lovely and relaxed – and the outputs are amazing! The photos and videos are truly breathtaking- they completely capture both of our girls perfectly (almost angelic which is how we will love to look back on this time!!) 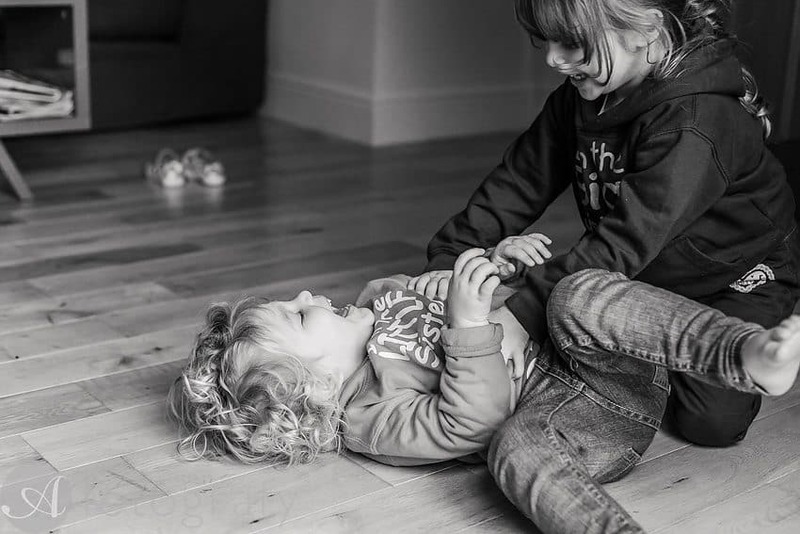 My favourites at those that show our girls playing together and how their relationship is evolving as sisters – these are precious moments which we now have forever. The fantastic way in which Armands has captured us in our own home means we can see personalities and the relationships between us and our environment. They are perfect to share with friends and family, particularly those we don’t see as often as we would like. It is quite daunting to invite a ‘stranger’ into your home for a whole day. You feel some pressure to have an immaculate home, well behaved children, an exciting itinerary and to perform on cue – but there is really no need as Armands really does make it so easy. He is house trained, polite, eats pretty much everything and gets involved and engaged in your day. I would like to share with you slideshow we made with some video clips included and many beautiful photos. And of course image gallery with wider selection of family and children photos too. Love what you see here? Would like to arrange your own Day in Life photography session? Contact family portrait photography studio here. To plan your photography experience and find out all relevant information.